Pope Benedict XVI wrote a letter to the Archbishop of Cologne and those participating in the International Scientific Congress on the occasion of the 7th centenary of Blessed John Duns Scotus' death. What relevance does a letter was written in October 2008 by the pope have for us today? Why remember Blessed John at all? Faith and reason working together in the heart of the Church!!! They are not in opposition to each other. Catholics are known to work intimately with faith and reason and Scotus is a prime example of the tradition. But you don't need me to tell you that. Read the pope. Indeed, combining piety with scientific research, in accordance with his invocation: "May the First Principle of things grant me to believe, to understand and to reveal what may please his majesty and may raise our minds to contemplate him", with his refined brilliance he penetrated so deeply the secrets of natural and revealed truth, and found in them a doctrine which led him to be called Doctor Ordinis, Doctor Subtilis, and Doctor Marianus, becoming a teacher and guide of the Franciscan School, a light and example to the entire Christian People. Alongside Sacred Scripture, divinely inspired, is the authority of the Church. Duns Scotus seems to follow St Augustine's words: "I would not believe the Gospel, except that I [first] believe the Catholic Church". In fact, our Doctor often gives a special emphasis to the supreme authority of the Successor of Peter. As the Blessed said: "Although the Pope cannot dispense with natural and divine law (given that his power is inferior to both), being the Successor of Peter, Prince of the Apostles, he still has the same authority as had Peter". Therefore, the Catholic Church whose invisible Head is Christ himself, who left as his Vicars the person of Blessed Peter and his Successors guided by the Spirit of truth, is the authentic custodian of the revealed deposit and the rule of faith. The Church is the firm and permanent criterion of the canonical dimension of Sacred Scripture. Indeed, she "established which books of the biblical canon were to be held authentic". Elsewhere he states that "the Scriptures were revealed in the same Spirit in which they were written, and in this way one must consider that the Catholic Church has presented them in that same Spirit with which the faith has been passed down, guided that is, by the Spirit of truth". After having proven with various arguments taken from theological reason, the very fact that the Blessed Virgin Mary was preserved from original sin, he was absolutely ready also to reject this conviction should it not be in harmony with the authority of the Church, saying: "We can with probability attribute to Mary all that has the greatest perfection, provided it is not opposed to the authority of the Church or the Scriptures". The primacy of the will sheds light on the fact that God is charity before all else. 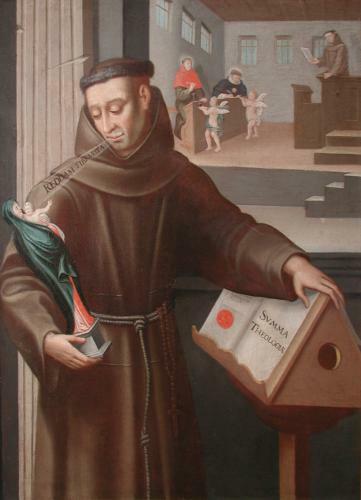 This charity, this love, Duns Scotus kept present when he sought to lead theology back to a single expression, that is to practical theology. According to his thought, since God "is formally love and formally charity", with the greatest generosity he radiates his goodness and love beyond himself. And in reality, it is for love that God "chose us in him before the foundation of the world, that we should be holy and blameless before him. He predestined us in love to be his adoptive sons through Jesus Christ" (cf. Eph 1: 4-5). A faithful disciple of St Francis of Assisi, Bl. John contemplated and preached assiduously the Incarnation and the saving Passion of the Son of God. However, the charity or love of Christ is expressed in a special way not only on Calvary, but also in the most holy Sacrament of the Eucharist, without which "if not for being able to render supreme adoration unto God through the veneration of the same Sacrament every mercy would disappear in the Church". This Sacrament moreover is a sacrament of unity and love; through it we are led to love one another mutually and to love God as a common good and to be loved at the same time by others. And as this love, this charity, was the origin of all things, so too our eternal happiness will be in love and charity alone: "Eternal life is simply the desire as well as the will to love, blessed and perfect". Can we think of advancing his cause for sainthood? Its taken too many years to get to "Blessed"!!!! According to Ezekiel the division of the people reflected - and resulted from - their sinfulness and alienation from God. They may become again one people by renouncing their sins, undergoing conversion, and returning to God. Yet ultimately it is God who unites God's people by purifying, renewing and liberating them from their divisions. 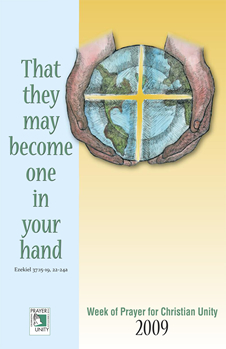 For Ezekiel this unity is not simply the joining of previously divided groups; it is rather a new creation, the birth of a new people which should be a sign of hope to other peoples and indeed to all of humanity. This page is a archive of entries in the Faith & Reason category from January 2009. Faith & Reason: December 2008 is the previous archive. Faith & Reason: February 2009 is the next archive.